I have studied lakes all my working life, beginning with my Doctorate in Scotland, and began research at Naivasha in 1982. 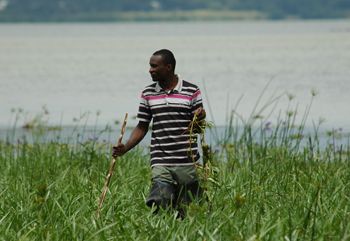 My team’s results were quickly seen as valuable by the local community, providing the solid evidence needed to persuade the Government to protect Naivasha as a RAMSAR* site and authorize the local community - Lake Naivasha Riparian Association - to manage it according to RAMSAR 'wise use' principles. 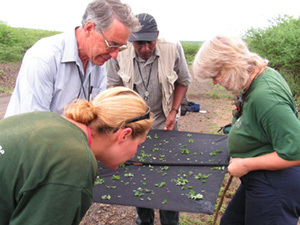 Earthwatch Institute started its support in 1987, and maintained it every year since then up till 2007. After Naivasha was declared a RAMSAR site in 1995, I worked with the LNRA and the Kenya Wildlife Services (KWS) to organize the first ever, international scientific conference to be held at the KWS Naivasha Training Institute, in 1999. The team presented their work and published it in 17 scientific papers in the conference proceedings. Following this, we turned our attention to the other Rift Valley lakes, two of them awarded RAMSAR status in 2000 and 2001, following the Naivasha designation. In 2003, I and Earthwatch Institute’s Oxford scientists obtained additional funding from the prestigious Darwin Initiative for research on the soda Lake Bogoria, which was extended to other soda lakes further south in 2006-8. The contribution of volunteers and fellows from the Earthwatch Institute fell dramatically after 9/11, as people thought hard about their travel plans. But the need for research and communication of sustainable management issues is now more urgent. Hard but rewarding work is underway on all these lakes – to continue to produce exciting scientific results and to make them relevant to, and usable by, the people whose livelihoods depend upon them. Never have volunteers had such an opportunity to become so closely involved with Kenya’s future - you can make a difference. *Ramsar is the town in Iran where the 1972 international treaty on the conservation of wetlands was signed. 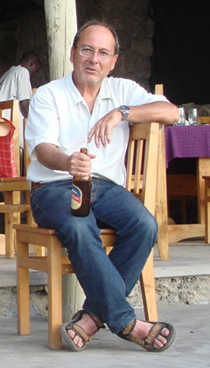 I was formerly the Director of the Centre for International Programmes and Links at the University of Nairobi but have now returned to being a full Professor of Hydrobiology. In addition I manage an aquatic environment consulting firm based at the University of Nairobi, 'Aquasystems Consultants'. I coordinate major donor-funded international research activities on integrated coastal zone ecology and management in Kenya. My particular research interest s are in the ecology and management of aquatic ecosystems in Kenya and in particular lakes and rivers of the Rift Valley. 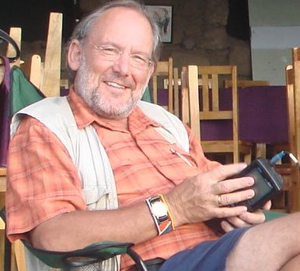 I first met Dr. Harper in early 1983 after he had started work at Lake Naivasha, where I had just finished my PhD in Aquatic Ecology at the University of Nairobi. 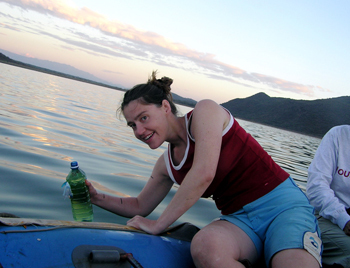 For this I studied Plankton - Fish interactions in Lake Naivasha. 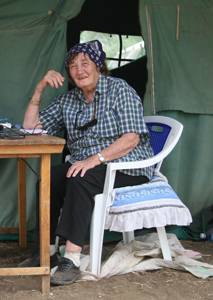 I have been studying the ecology and management strategies of Lake Naivasha together with Dr. Harper and other scientists since that time and to date we have published extensively on its ecology and management . With Earthwatch I am exploring the biodiversity of lepidoptera (moths and butteflies) on Acacia in the Rift Valley. When in England I work in the Natural History Museum (part time) as a Scientific Associate. 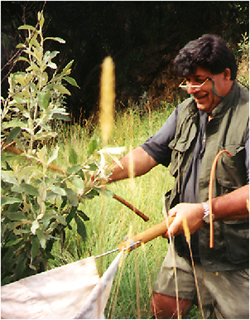 From 1998-2000 I lived and worked in Kenya, so got to know the country and its fauna. 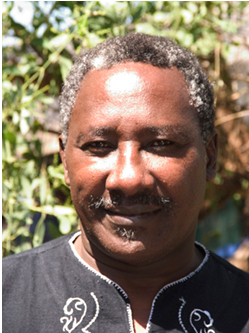 I became affiliated to the National Museums of Kenya in Nairobi; my specialism is small moths. After completing a Ph.D. in ecology I worked as Training Officer and lepidopterist at the International Institute of Entomology. Prior to 1990 entomology was just a hobby while I worked for 25 years as a parish priest (Anglican). I have spent over 30 years working in the water and environmental sectors, initially in South-East Asia and then extensively throughout Africa. I have been resident in East Africa since 1979 and have worked throughout the continent focusing on water resources development. I am a Chartered Civil Engineer (UK), a Qualified Water Professional registered under the Kenyan Water Act, a Chartered Environmentalist (UK), a Registered Consulting Engineer (Kenya), a licensed “Lead Expert” under Kenya’s Environmental Management & Co-ordination Act. In mid 1997, I retired from mainstream consultancy as the Director of Water & Environmental Consultancy with international consultant GIBB Africa, and I have since been engaged in selective freelance consultancy and philanthropic activities. 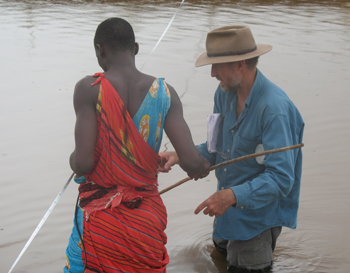 In 2007 I started working with Leicester University field teams in Kenya’s South Rift and Lake Bogoria, my particular interest being in changes in the hydrological cycle and the impact of human activities on water resources and wetlands. In 2008 I was appointed an Honorary Visiting Fellow of the University. My professional field of special expertise is in engineering hydrology, a topic I have actively pursued throughout my career, undertaking hydrological investigations throughout the continent. 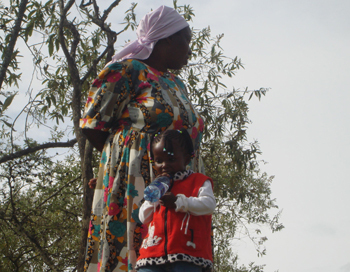 I have a passion for arid lands in particular, and work as closely as I can in Kenya’s conservation areas. 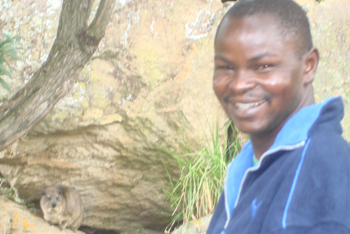 I first came to Lake Naivasha and Lake Bogoria as Davids student and scientific assistant in 2001 while studying environmental biology at the University of Leicester. 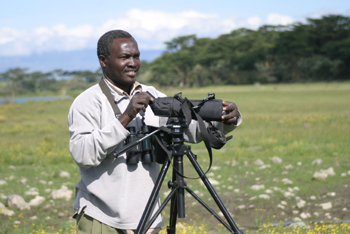 After graduating from Leicester I did an MSc in Biological Photography and Imaging at the University of Nottingham and returned to Bogoria in 2004 for my final MSc project. For this I photographed a lot of the different animals and plant species in the National Reserve and produced posters on the different habitats. These are now used for educational purposes. 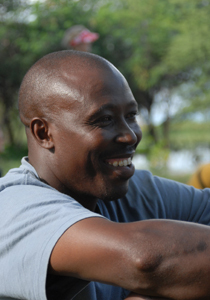 In the summer of 2005 I returned to Kenya, this time to Lake Bogoria and Lake Baringo to make environmental conservation films with local schools, communities and organisations. This was done in cooperation with the Brock Initiative who had already made films at Lake Naivasha. Currently I work as a freelance photographer based in germany and update this website. I am a fish ecologist at Bournemouth University, UK, and my main research interests include the ecology and management of biological invasions in freshwaters. This interest in extremely well catered for at Lakes Naivasha and Baringo. 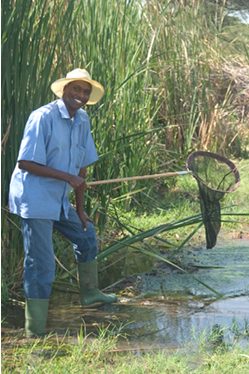 The Naivasha food-web is dominated by the introduced species common carp and Louisiana Red Swamp crayfish. Lake Baringo has also been subject to alien fish introductions, with the lungfish now a dominant species caught by fishermen in the lake since their introduction in the 1970s. Our work centres on deriving an increased understanding of the ecology and biology of fishes in the lakes in relation to environmental changes and how this affects the subsequent catches of fishermen in the commercial fisheries. 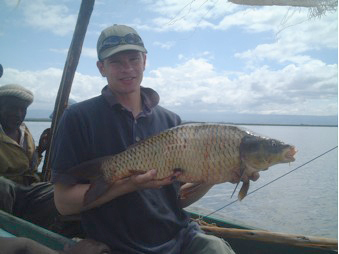 Recent outputs include papers on the ecology of common carp in Naivasha and the endemic tilapia Oreochromis niloticus baringoensis in Baringo. The main body of my research is devoted to the study of the ecology of lakes and running waters with reference to hydraulic habitats and invertebrate community structure analysis. On these topics I joinned field expeditions in Central Asia, on the Aral Sea and along the Amu Darya river, in Middle Asia, and in West & East Africa. More recently I'm addressing the environmental effects of suspended solid loads in regulated rivers and, following the charismatic enthusiasm of David for flamingos, I'm organizing a research group focused on the genetic of African flamingos. 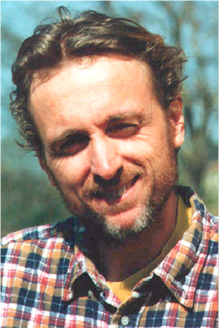 I'm based at the University of Insubria (nearby the Lake of Varese in the North-Western part of Italy) were I teach Freshwater Ecology and Environmental Data Analysis for students joining the degree courses of Biology, Natural Sciences and Environmental Engineering. 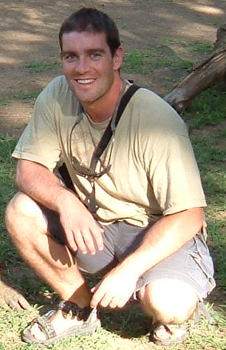 I have been working with David Harper on the Rift Valley teams for nearly ten years, studying the coleopteran fauna of lake woodlands / marginal vegetation. In comparison with high profile primary woodland sites this habitat is under-recorded yet is extremely rich in species. Records have been gathered from L. Naivasha to L. Baringo in the north. Particular focus has been given to those coleoptera associated with Acacia, both phytophagous species and saproxylics (those dependent on dead wood). Pressure on these environments means that important conservation issues as well as biodiversity recording are key areas for study. I work closely with the entomologists in the National Museum of Kenya, Nairobi, where I am affiliated to the department, and the material collected is gradually being added to the national collection. After working in education for many years, I am currently an independent entomological consultant working on coleoptera surveys in the UK when not in the field in Kenya. My work is usually for national bodies, e.g. National Trust, Forestry Commission, or regional Wildlife Trusts on nature reserves. My research background is in Scolytinae (Bark Beetles) associated with lime trees in the UK and this was undertaken at the University of Leicester. My research revolves around the use of stable isotope analysis to characterise trophic interactions and energy fluxes within aquatic systems and across ecosystem boundaries as subsidies. I am also interested in the impacts of invasive species and so Lake Naivasha is a very useful study site. I have contributed to Rift Valley Lake research with David Harper on an annual basis since 2001, initially at Naivasha studying how hippos mediate terrestrial subsidies to lakes via their dung, and recently how introduced carp are slotting into the food web and interacting with the long-established but exotic Louisiana swamp crayfish. 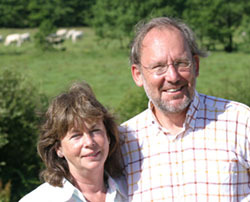 The latter work is supported by the British Ecological Society and is in close collaboration with Rob Britton. Michelle Jackson will focus some of her PhD research on these interactions. I have initiated studies at Lake Bogoria on how the simple but highly productive aquatic food web subsidises the terrestrial organisms of the arid riparian zone via emerging chironomid biomass and flamingo feather detritus. My interests at Lake Baringo lie in understanding the ecological community structure and functioning of this very turbid but productive system. Together with Ian Donohue and British Ecological Society funding, I have led student research teams from Queen Mary and Trinity College to Lake Baringo. I am married to the Project director, David, and am a trained teacher of Geography who also has a B.Sc in Human & Environmental Sciences. 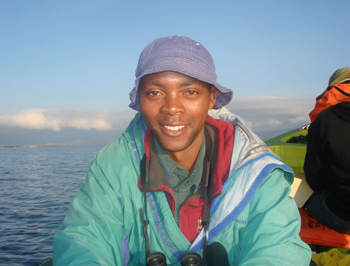 I lead the project at Lake Naivasha studying fish eagles and was one author of the paper about their dynamics through the 1990s. At soda lake sites (Bogoria and Elmenteita), I assist David's teams with studying populations of the blue-green bacteria Arthrospira (the main food of the lesser flamingo). I am also very involved in children's education. At Lake Naivasha, our earliest study site, I was involved a few years ago in the formation of an orphanage, which has now been duplicated at Gilgil, the next town up the Rift Valley. The Darwin Initiative project at Lake Bogoria has an important educational component among the local schools and I leads this. So far I have distributed maps, wall charts, lesson plan charts and ecology/conservation books. I have written, together with my daughter Claire, children's' stories about lesser flamingos and their lifestyle, which we are printing and distributing initially throughout the local area, hoping to have them taken up by Wildlife Clubs of Kenya for national distribution. 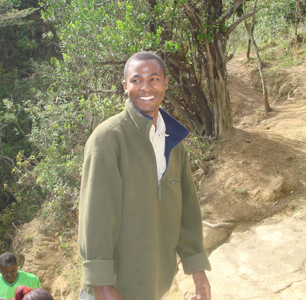 My name is Laban Njoroge and I am an Entomologist from Kenya. 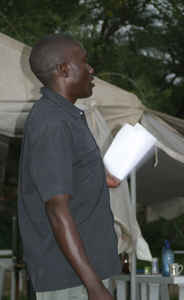 I have worked as an affiliate at the Entomology Department, National Museums of Kenya,for more than 6 years. Currently I am undertaking a Masters degree in Entomology at a local University. Insects and more so the Dragonflies have fascinated me ever since I was young. Since joining the Research team 4 years ago, I have managed to study Dragonflies of various Rift Valley Lakes and their catchment areas. I am a veterinary microbiologist and diagnostician at Washington State University in Pullman, Washington, USA. My position here is split between basic virology research and as the Bacteriology Section Head for the Washington Animal Disease Diagnostic Laboratory. My main research interests are the pathogenesis and persistence of mammalian viruses, including retroviruses and herpesviruses. I also work with identification of and the pathogenesis of viruses affecting raptors and other wild birds. 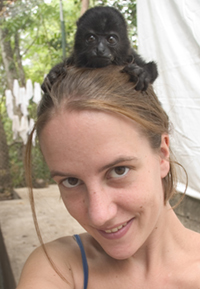 I was a clinical veterinarian for falcons in the United Arab Emirates in the 1980s, and am currently the consulting veterinarian for the Peregrine Fund, a USA raptor conservation group. In this capacity I was most recently involved with the Asian vulture population crash, which was the result of a mass poisoning by an anti-inflammatory veterinary drug. I have worked annually at Lake Bogoria since 2005 to understand the causes of disease, mortality, and their potential population effects on Lesser flamingos. My research focuses onto aquatic biogeochemistry, nutrient transport in streams, ecological risk assessment and water quality management. In the 1990s I spent 4 yeas in Kenya studying rivers, reservoirs, natural lakes for my Masters and PhD and I have become profoundly attached to the country and to its people. With this 'Lakes, Wetlands and People of the Rift Valley' project I have been assisting David and colleagues in producing a baseline of data on the water chemistry of Lake Naivasha catchment. More recently from Italy, I have been assisting the Moroccan Ministry of Land and Water Management in revising national policies on the basis of the European experience with the Water Framework Directive. Currently I work in the Nile basin, together with the Egyptian authorities. I teach at the University of Calabria. Part of my childhood was spent in the Kenya, in Nairobi and in the Rift at Lake Naivasha where my father worked as an advisor to the Fisheries Department. The experience had a profound influence on me and has affected my life ever since. My educational background is in Geology and Physical Geography and I am presently the Technical Director of Swedish Geological, based in Stockholm, Sweden. My work is mainly in the form of various consultancy assignments and it takes me to all corners of the world. I retain a keen interest for research and have participated in the work of this group for more than 10 years. My research interests include issues related to metal contamination, metal bioavailability and water quality policy issues in aquatic systems; and the environmental impact of mining and associated implications for environmental policy. The research is based on case studies and I have worked in a variety of environments in Europe, South East Asia, South America and Africa. In the Rift Valley lakes project, I have mainly worked with Lake Baringo, and with the physical processes that explain the high turbidity and extreme variability of the lake’s water quality which, in turn, has profound knock on effects on the lake’s ecosystem. I am an ecohydrologist working at the Department of Applied Ecology, University of Lodz and the European Regional Centre for Ecohydrology, under UNESCO and the International Institute of the Polish Academy of Sciences. My research seeks to resolve biogeochemical processes, nutrient transport and ecosystem dynamics in river-floodplain-lake systems. I have 12 years’ professional water experience including as a consultant to UNEP & UNESCO programmes and as coordinator & contractor in 12 national and international research programmes. Recently I have been also involved in urban aspects of ecohydrology, knowledge transfer in demand-led research and on a multi-stakeholder platforms operation (Learning Alliance). I am co-editor of 3 international handbooks on ecohydrology, author/co-author of over 20 peer-reviewed papers and presenter of over 50 at workshop/conferences. 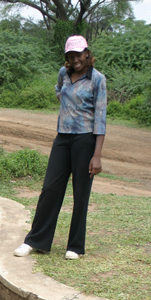 In the Rift valley research team, I have dealt with all eco-hydrological aspects of river-swamp systems. Since a large part of my professional life has been devoted to several aspects of education -– university studies, international advanced study course, development of university curricula, handbooks and educational material – I am very happy to also be involved in the education and capacity-building aspects of the research camps. I am a student at the University of Nairobi studying towards a BSc in Environmental Conservation and Natural Resource Management. My interests are in sustainable development and food security. I grew up on a farm in central Kenya and have witnessed deterioration of land in a bid to increase agricultural productivity. I find plants as the centre of sustainable development based on their intricate links to each component of the biodiversity. Thus understanding them would lead to making better decisions. I volunteer with the East Africa Herbarium (EA) at the National Museums of Kenya. 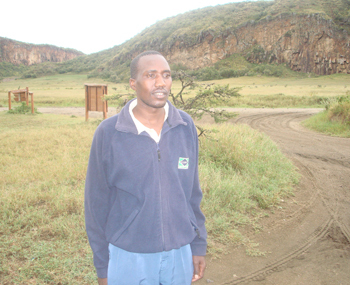 I joined The Lakes of The Rift Valley Project in 2005 studying vegetation in various locations. The project offers me an opportunity to gain the necessary skills by exposing me to various situations as I contribute towards a sustainable solution locally. 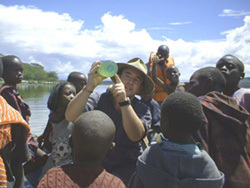 I first came to the Lakes of the Rift Valley Project on an Earthwatch fellowship in March 2007. The experience sparked my interest in aquatic science and I wanted to learn more about the lakes ecological processes. I am currently undertaking a Masters degree in Hydrobiology at the University of Nairobi with the support of the project. I am glad and feel very fortunate to be part of this team.